HARRY AND HERMIONE - I LOVE u. I LOVE u I LOVE u THERE IS NO OTHER, I LOVE u I LOVE u BECAUSE u ARE MY BROTHER. 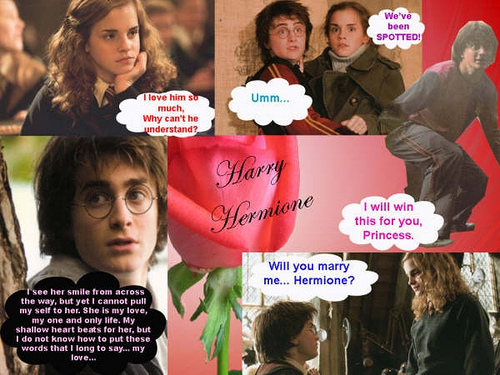 Wallpaper and background images in the Harry Potter club tagged: harry potter hermione granger. This Harry Potter fan art might contain krant, tijdschrift, tabloid, vod, papier, rag, teken, poster, tekst, bord, schoolbord, anime, grappig boek, manga, cartoon, and stripboek.